The Open Source movement is rapidly changing the face of software development. Could Thelema – with its emphasis on the Magical Record and the public availability of most of its founding documents – be considered as an application of the principles of the Open Source movement to the domain of spirituality? Update (3/6/00): As if in response to this article [grin], Salon has just dedicated a new section of their website to the topic of the Free Software Project. The basic idea behind open source is very simple. When programmers on the Internet can read, redistribute, and modify the source for a piece of software, it evolves. People improve it, people adapt it, people fix bugs. And this can happen at a speed that, if one is used to the slow pace of conventional software development, seems astonishing. In the cathedral-builder view of programming, bugs and development problems are tricky, insidious, deep phenomena. It takes months of scrutiny by a dedicated few to develop confidence that you've winkled them all out. Thus the long release intervals, and the inevitable disappointment when long-awaited releases are not perfect. In the bazaar view, on the other hand, you assume that bugs are generally shallow phenomena – or, at least, that they turn shallow pretty quick when exposed to a thousand eager co-developers pounding on every single new release. Accordingly you release often in order to get more corrections, and as a beneficial side effect you have less to lose if an occasional botch gets out the door. The Open Source model of software development had by that time already achieved notable success through the Linux operating system and the Apache web server. But in the spring of 1998, Netscape stunned the computer industry with its announcement that it would develop the next major version of its web browser as an open source project. Since then, the movement has expanded tremendously, with many software vendors either establishing Open Source projects (IBM), watering down the Open Source model (Sun), or presenting arguments that the Open Source model isn't applicable to their market (Microsoft). Underlying this enthusiasm is a shared commitment to the advancement of knowledge combined with the recognition that individuals do their best work when applying themselves to projects they're personally interested in. 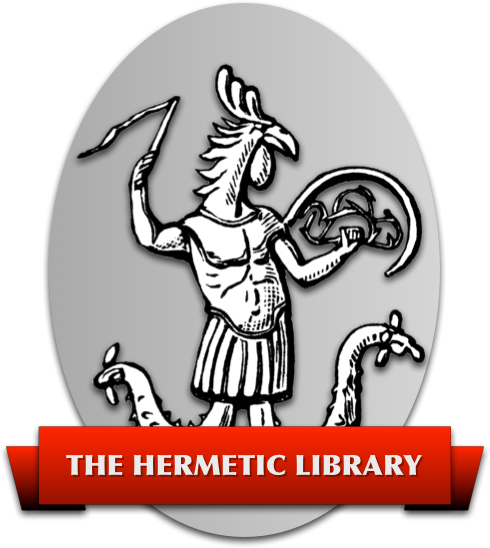 These principles are similar enough to the conjunction of the Hermetic quest for knowledge and the doctrine of True Will found in Thelema to suggest that Thelema could potentially be viewed as a platform for Open Source development, but of human development rather than software development. “Mystery is the enemy of truth,” Crowley once wrote, and although some of his work is shrouded in secrecy, he opened up the Western esoteric tradition to a degree never before seen in his time. The original publication of the initiation rituals of the Golden Dawn, along with much of their instructional material, occurred in The Equinox, in “The Temple of Solomon the King.” This, along with Regardie's later – somewhat more systematic – publication, paved the way for the modern popularity of Ceremonial Magick. It is quite likely that without these works the Golden Dawn system would have vanished into obscurity, and all that has derived from it would never have existed. Crowley also advanced the idea of the Magical Record, not just as a way for the individual to evaluate his or her progress, but also for the sake of other, later explorers. His publication of Frater Achad's journals as “A Master of the Temple,” and Crowley's own “John St. John,” provided examples of actual magical work that served as guideposts for those who came after them. It could be argued that the presence of any “closed” material in his works disqualifies Crowley from any consideration as an early Open Source proponent. Kenneth Grant attempted to strip away the vestiges of occult secrecy in his “Typhonian OTO,” and while his heavy-handed management approach triggered (at least in the U.S.) the waning of his organization in the mid-80s, his views regarding secrecy have proved enormously influential among independent Thelemites ever since. We have Hermes (Mercury) over Aquarius, the symbol or the logos of the Open Path, meaning that the Tarot is to be revealed in the Aquarian Age. […] The age of the development of the individual has culminated with technology and Humanity is now at the point where it must jump level in order to survive. But Humanity is ready for this jump. You mean this is not a write once language? Are you ready to give up your Class A's? Where is it that we get to fork the tree? What an odd pair of ideas to comingle. It certainly would be nice to see a 777 server. away behind the toolshed that you toss journal entries and \\ found objects? Re: Thelema as Open Source? Good bunch of questions! You could imagine denominations popping up that had all kinds of differing answers to these. I don't think it is, although different communities maintain “modules” at different scopes. People interested in Crowley keep his works canonical; Maatians write an add-on module, but Nema might be more inclined to keep Liber PP in a strict observance than would those who come after her, etc. Not me or my friends, though others might be. I'm just prepared for the possibility that I might receive one of my own some day. Enjoyed the links, but since magick's a different domain than software (usually, anyway), different sorts of tools would be required. Journal dumps are probably a step in the right direction, though. Maybe a working group could be assembled to recommend a standard for journal entries optimized for cross-individual interoperability. MRML (Magical Record Markup Language)? Cybernetics really is an advance in human neuro-psychology, not just human technology. The brains which interface with these technologies mutate in unanticipated ways. Is compiler-language a more accurate map of the mind's view of itself than Thirty-Two Paths in Four Worlds? Sepher Yetzirah clearly states that, in the Timeless Aeons before God pressed Run Program, He created the Thirty-Two essential Alphanumerics, Belimah. Please bear with me. One's Magickal Universe is, and is intended to be, an increasingly accurate map of one's experience of the…I won't get into that one…of the Experienced Universe. If you are getting anywhere at all, this Experienced Universe should itself be expanding. But didn't Aleister say our conceptions of things should be growing progressively simpler? Yes, he did, and Yes, it does. We need to create Macros for handling increasingly more complicated tasks which become increasingly more common. Phew! Okay. Each World Wired Wizard, there I said it, has already, and will continue to make, their own Magickal-Aesthetic-Stylistic choices. Ye-Waaz, AShub,whaddayatryinta do, start a fight? The only difference is,that if it is the Will of the guy or gal magic-dude-person to communicate effectively with other like- or similarly-minded individuals, we now have an OPPORTUNITY to enclose fully-documented downloadable attachments which express our attitude towards our shared traditions, JUST SO EVERYBODY CAN BE SURE. Some people have signed pieces of paper, taken Oaths, or simply thought it would be in good taste to give one's expressed Assent to “Change not so much as the Style of a letter” in Liber AL. Many have also accepted The Beast's Own attribution of other Inspired Works to this category. This is a convenient convention, and we all understand what it means. And what it means is this: YOU DO NOT CHANGE THIS TEXT. Don't you see the beauty of this? Aleister categorized how he thought his varying materials should be used, and we should do the same. Also, it is specifically to be inferred that Not Every Word Uttered or Written by The Man Aleister Crowley is Canonical or Sacred. It's Not Just The Law, It's A Good Idea. We have an opportunity to understand–for ourselves–how we navigate through terms like “Canonical”, “Traditional”, “Personal”, “Communal”, “I like it”, “I borrowed it”, “I changed it”, or “I made it up”. Not to mention, “I didn't like it, so I threw it out.” In reference to our favorite Magickal Tradition–and all the other Traditions we each individually pilfer, cherish, hold dear. It is beyond the scope of this little essay, but the subjects Brother AShub and Brother Xnoubis raised apply to all of our mixed and matched personal practices. Some examples about Evolving Collective Protocol, or: Can We All Get Along? In the East Bay, Public Gnostic Mass tradition, certain “House Protocols” have evolved. The Children are not obligatory, don't add much, and we don't use them. The Saints List can be added to, with respect and discretion. What the priest wears in re: one robe, two robes, or at one point no robe is up to the priest. What a Participating Congregant says to the assembled People after communicating, is Soo up to the individual Congregant that no-one would even consider objecting on Doctrinal, or even possibly Magickal, grounds, but only on the grounds of extreme lack of good taste combined with extreme disregard for the most essential social graces and even then, only the Natural Law of Social Ostracization, and no other, would come into play. So you see, trying bravely to stick to the original metaphor–can't see the posts because I'm in Edit-Preview Mode–Xnoubis thinks that Magick and Computing are similar, but not alike. He does not understand that it is AShub's nefarious Master-Plan to ruthlessly Bend, Squeeze, and Mutate our Technology, our Morality, and our Reality until they BECOME the same thing. I had a great finish for this thing, but it got swallowed irretrievably in one of those mysterious Screen-Freeze glitches. Anyway, the Voodoo Witch Lady is telling me it's time to light the Shabbat candles. 30.
since magick's a different domain than software (usually, anyway), different sorts of tools would be required. Screaming in laughter at mental picture of a Hermetic clutching the dusty tomb to chest whilst abjuring the computer in the triangle. That's no way to talk to a sourcerer! My first thought was a browsable CVS tree that multiple people could work on. Unfortunately, that requires directory structure hierarchy … Having the text centralized allows grinding with something like Tinderbox. However, some wandering in the halls turned up Wiki … an grandly abusable tool with source control back ends. There's a new one where we can start playing now citing Memetic Drift and a Zope based one that you could run with. You mean you're going to print “Emblems and Modes of Use” now? I think the argument would be: “Emblems” isn't an essential part of Thelema, but rather one example of the “secrecy method” applied to the development of one group's initiates. If Liber AL were left unpublished, and shown only to initiates, then we could say with certainty that Thelema was irredeemably closed. The key, IMO, is that the basic techniques and practices and 'secrets' in “Emblems” and other documents are available in many of Crowley's other writings that are publicly and available without any controversy. If the core of the system wasn't available, albeit in less obvious form, I'd probably scream louder for the release of absolutely everything, but the fact remains that Crowley does live up to his word in MTP about writing the secret “somewhere” in his published works. All it takes is a bit of digging that is really required to understand the 'unobtainable' documents anyway. This, of course, brings up the greater irony that nobody's reading them. A proliferation of “new” texts will likely be as rapidly ignored as anything that doesn't have the great forbidden secret and unobtainable reputation forever stamped upon its spine.